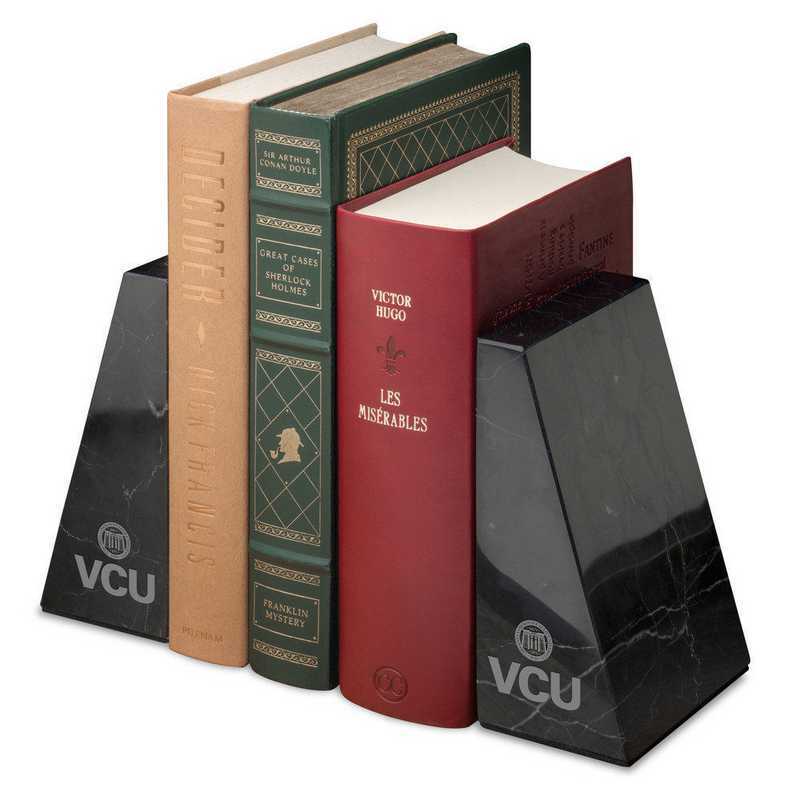 Virginia Commonwealth University Marble Bookends by M.LaHart by M.LaHart & Co.
Add another classic to your library collection! Each bookend is crafted from a single piece of solid marble and weighs 4 lbs. Padded to protect furniture and prevent slipping. The Virginia Commonwealth University insignia is featured prominently on the front of both bookends..Crafted from solid marble.Measures 6” tall, base measures 4” x 2 ½”.Set of two.An M.LaHart exclusive.Officially licensed by Virginia Commonwealth University.Manufactured direct from a trusted supplier. You're reviewing:Virginia Commonwealth University Marble Bookends by M.LaHart by M.LaHart & Co.